The most popular climate paper of 2018 called for “collective human action” to keep global warming from turning Earth into a “hothouse,” according to media tracking data. The so-called “Hothouse Earth” paper, published in the Proceedings of the National Academy of Sciences in August, sparked a wave of alarming media coverage the planet was “dangerously close” to reaching “unstoppable” warming. “The paper was the fifth most talked-about of all journal papers published last year,” and the most talked about paper related to global warming, according to the website Carbon Brief. “It was the subject of 460 news stories in 326 outlets, including the Guardian, BBC News, Sky News, New Scientist, Al Jazeera and the Sydney Morning Herald. Links to the paper were also included in 5,392 tweets and 34 Facebook posts,” Carbon Brief reported Tuesday. The scientists warned the global warming tipping point to an uninhabitable “hothouse Earth” was 2 degrees Celsius above pre-industrial levels. “Fundamental societal changes” to create a “stabilized Earth” are needed, according to the study’s press release. “Instead of focusing on the science and identifying tipping points and trajectories, the abstract meanders off to demand global government,” Bloomberg New Energy Finance co-founder Michael Liebreich tweeted in response to the “hothouse” paper. “Mixing science with socialist demands usually means the science is crap, and as a conservative I can’t be bothered to read it,” said Liebreich, who’s no skeptic of man-made warming. 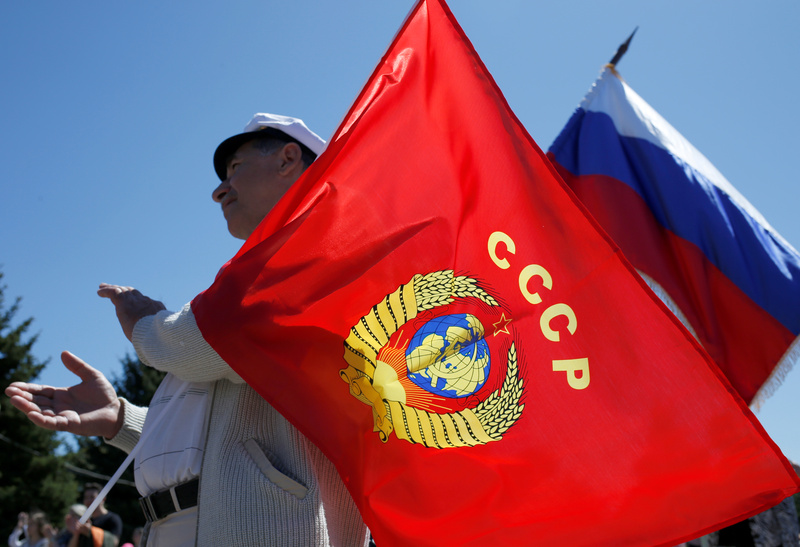 A man holds a flag with the coat of arms of the Soviet Union and a Russian flag during a May Day rally in central Stavropol, Russia, May 1, 2018. REUTERS/Eduard Korniyenko. The post Green Marxism: The Climate Paper Most Widely Covered By The News Media In 2018 Was Actually A Call For Socialism appeared first on The Global Warming Policy Forum (GWPF).